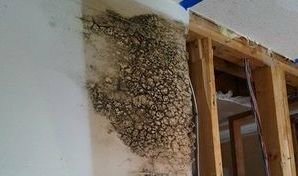 Even though mold and fungus are naturally occurring substances found in nature, it has no place growing inside your household, which is why you should contact the mold removal Huntersville experts from 911 Restoration of Charlotte the moment you have a feeling it may be growing inside your property. You won’t always be able to detect the presence of mold, since it tends to live in places out of plain sight, like the rafters, ceiling, or walls, which is why you need us to provide you with a free visual mold inspection. Our mold removal Huntersville professionals want to make the eradication process as easy on you as possible, so it is important to contact us as soon you notice any black or pink spots on the walls or ceiling. We make this possible by keeping our service agents available 24/7/365, allowing you to schedule an appointment with us to get our team to your property at your earliest convenience. You can count on our IICRC certified mold removal Huntersville staff to decontaminate your home of all types of fungal infestations, no matter how big or small, and take care of that mold problem before it spreads throughout your home. Call us today and we will make sure that the issue is addressed right away, and your home will soon be on its way to a fresh start! Our mold removal Huntersville technicians understand that the presence of excess moisture within your home is what creates the ideal environment for mold to thrive. If you suspect that your home may be infested with any kind of fungus, our licensed, insured, and bonded mold removal Huntersville agents will locate the source of the problem right away and begin making repairs. You can trust us to properly, and safely, perform the necessary water damage repairs to patch up any leaks and cleanup all instances of mold growth, so call us today. We never want you to feel like you need to take on a mold cleanup job on your own, especially since there are certain types of mold that can be hazardous to your health, such as black mold. When you hire us, our mold removal Huntersville specialists make sure to do everything with the utmost professionalism, which includes wearing protective hazmat suits and face masks. We implement professional grade techniques, including the use of our eco-friendly cleaning solutions that allow us to remove mold thoroughly from your home without causing any further damage to the home, or the environment. Our mold removal Huntersville pros will always be thorough in our approach and pay attention to detail when we check crawlspaces, attics, and the spaces between walls to make sure all traces of mold are removed. Whenever you’re in need of professional mold and water damage remediation, you can trust that our mold removal Huntersville crew at 911 Restoration of Charlotte will give you a fresh start today.